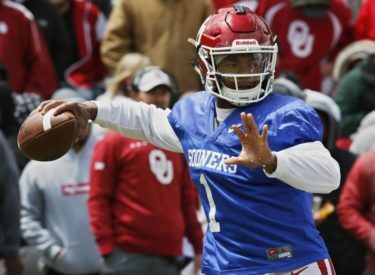 Oklahoma quarterback Kyler Murray has the special kind of swagger and talent it takes to follow Heisman Trophy winner Baker Mayfield at quarterback. The first-round Major League Baseball draft pick has signed for nearly $5 million to play for the Oakland Athletics. He’s fully committed to football for one year first. The speedster could be one of college football’s most electrifying players if he can beat out Austin Kendall for the starting job.